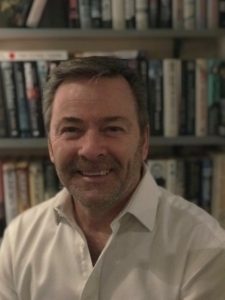 Amethyst Group has announced the appointment of Allan Fosbrook as the Sales Director responsible for the logistics and freight business. In his new role, Allan will be tasked for driving the growth of the group and integration of PNC the Freight Forwarding division, with the 3PL business which saw the opening of new Super Hub in 2017. Amethyst Group Limited (“Amethyst”) is delighted to announce a new partnership with Now Group UK Limited (“Now Group”) to provide its warehousing and distribution services. Amethyst is a 3PL provider and offers full warehousing and distribution services to its clients from its bases in Warwickshire and Kent. Amethyst opened a new Super Hub at its Wellesbourne site in 2017 to provide high tech modern facilities to its client base. Amethyst services a number of well-known clients in toys & games, baby and fashion sectors. Amethyst, together with its sister company PNC Global Logistics, can also offer freight forwarding services Amethyst can manage your stock from factory to customer. Now Group is a distributor of Outback BBQ’s, Bose, Denon and other high-end Audio equipment and personal breathalysers. Allan Fosbrook, Amethyst Sales Director said, “Now Group have a great range of products and we are excited to be working with them to deliver a high quality responsive service”. Hunter Abbott from Now Group said, “we are delighted to be working with Amethyst. We chose them because we required a company that knows how to deliver on time and in full as our brands required this to grow”. Amethyst and PNC are part of the Cathay Investments group. For more information see www.pncgl.com , www.cathay-investments.com or contact Allan on 07730 982907, afosbrook@amethystgroup.co.uk. Amethyst Group Limited (“Amethyst”) is delighted to announce a new partnership with Smash Global (“Smash”) to provide its UK warehousing and distribution services. Amethyst is a 3PL provider and offers full warehousing and distribution services to its clients from its bases in Warwickshire and Kent. Amethyst opened a new Super Hub at its Wellesbourne site in 2017 to provide high tech modern facilities to its client base. Amethyst services a number of well-known clients in toys & games, baby and fashion sectors. Amethyst, together with its sister company PNC Global Logistics, can also offer freight forwarding services Amethyst can manage your stock from factory to customer. Smash manufacture functional and innovative food and drink storage containers. Graham Woodland from Smash said “Amethyst have the experience and expertise within the retail industry that we require to be able to carry our brand forward. We look forward to a long enjoyable relationship”. Global toy firm, MGA Entertainment, has appointed Amethyst Group as its new warehouse and logistics provider. The deal sees Amethyst take on the 3PL contract for MGA Entertainment and Zapf Creation. One of the fastest growing generic pharmaceuticals suppliers in Europe required a logistics provider to support their entrance and subsequent rapid expansion into the UK market. They needed an experienced partner who could compliment their own packing and warehousing facilities and ensure a responsive approach to dynamic market conditions in supplying hospital and retail customers. Amethyst designed and configured a core zone in one of our shared user warehouses with a focus on highly accurate quality assurance, processes and picking efficiency suitable for high volumes of pharmaceutical products. Using Amethyst’s MHRA Licence compliant systems and operating procedure and Home Office Licence for the storage of Schedule 4 and 5 drugs, we developed an optimised delivery solution via our network of support distribution partners to ensure 100% on time and accurate deliveries. We currently hold several thousand pallets of product and manage the throughput of millions of units per month of SKU’s, including OTC, POM and controlled drugs. The client continues to be one of the fastest growing pharmaceutical businesses in the UK and has recently renewed their contract with Amethyst reflecting the long term, mutually beneficial partnership we have developed. The UK’s number one independent Toy and Gift developer required a flexible and responsive UK third party logistics provider who was able to handle large daily volumes of product with very high levels of accuracy. As well as carrying out planned and ad-hoc pre-retail services depending on their customer’s demands. Given that one in five of all the toys bought in the UK is delivered to retailers via Amethyst warehousing and distribution, they chose us to provide the solution. We invested in three dedicated warehouses and a dedicated management, operations and admin team to ensure that there was total focus on achieving the volumes and service levels required by some of the most demanding clients in the UK. We also used our in house transport management team to ensure that all deliveries were maximized and despatched in the most timely and efficient manner. This has given the client the freedom to concentrate on their core business while we look after their logistics, delivering to national distribution centres and retail outlets. Throughout our 12 year history of the contract we have improved customer service, implemented more efficient processes and improved stock accuracy. We have streamlined order processing enabling inventory reductions and vastly improved lead times in line with the demands of the client’s customers. By focusing on processes we have empowered the client to manage their stock in a much more efficient manner, reducing inventory by over 30% over the last two years. Amethyst is a market leading provider of outsourced e-commerce warehousing and distribution e-fulfilment. Many well known luxury and high street brands’ e-commerce orders are fulfilled by Amethyst. This client has a retail distribution centre which serves their national and international operations effectively. But they needed something different for their e-commerce fulfilment, a proven solution from an experienced logistics provider who could demonstrate accuracy, reliability and scalability. We set up a project team to work alongside those of the client and their chosen web store platform. The team consisted of a project sponsor, implementation manager, as well as systems and operations specialists. Together, we specified, developed and tested a robust end to end fulfilment solution operating from our dedicated clothing fulfilment centre near Lichfield in Staffordshire. From day one the transactional website performance smashed all forecasts and expectations. Amethyst had to react quickly to adjust for the unpredicted, but welcome demand for the brand. Within a few hours we had doubled the amount of packing stations as well as operatives on the contract. We consistently exceed all of our agreed service levels. Amethyst works with several multi-channel fashion and beauty companies, providing warehousing and distribution for wholesale, retail and e-commerce both domestically and throughout the world. This luxury lingerie client needed a flexible and responsive outsourced logistics provider who could handle large daily volumes of franchise, retail and business to consumer orders domestically and internationally with high levels of accuracy, as well as demonstrated ability to carry out planned and ad hoc quality control services. The feedback from the client’s headquarters was that most departments didn’t even realise the move had taken place! Through teamwork we have forged a strong partnership which gives the client the freedom to concentrate on their core business while we look after their logistics. Our client, a baby healthcare product manufacturer, required an experienced 3PL partner to support their UK growth. They needed a partner who could scale with their expansion plans and maintain an excellent customer service. Sophisticated process management to ensure product integrity, minimal packaging tainting and customer conformance were maintained was a must. Combining our experience with pharmaceutical product management and long term work in the consumer goods sector, we developed a solution that not only ensured 100% accuracy and conformance to the highest standards but realised synergies with our distribution operations to deliver a cost effective and environmentally friendly delivery solution. Products are stored in shrouded locations to minimise exposure to dust and our tailored healthcare systems and processes are implemented to ensure end to end traceability and inventory management. We typically achieve 100% on time in full deliveries, for customers including Tesco, Sainsbury’s, Boots, Mothercare and Alliance Healthcare amongst others, as well as independents. We leverage our direct relationships with the retailers’ DC’s to ensure optimum vehicle utilisation and delivery slots. We also manage the webstore for the client, ensuring online orders are fulfilled and despatched accurately and in a timely manner. The client therefore focuses on their sales and growth whilst enjoying a stress free logistics operation. Amethyst is the chosen third party logistics partner for several market leading private/flash sales etailers. Using our experience of these business models, we have been able to grow and evolve the solutions enabling clients to expand their product and service offering as their volumes and product ranges increase. This client had an in house fulfilment facility adjacent to their offices. Following some significant investment and growth in homeware volumes, their expansion was set to accelerate dramatically. They needed an outsourced provider with the required facilities and scalability to cope with rapid growth as well as the financial credibility required to respond to changing requirements with agility. In addition, they needed a fast implementation to co-ordinate with an office move. Amethyst’s project team helped guide the client through an expedited implementation process in order to achieve the deadline. We adapted to the unique requirements of the business model and continue to work closely on systems and process development in order to provide the optimum solution at each stage of the forecast growth plan. Amethyst was selected as the third party provider because of our experience in homeware and fashion e-commerce fulfilment which has ensured a good cultural fit. By working together, we have achieved a robust fulfilment solution operating from one of our facilities near Wellesbourne in Warwickshire. We fully expect to be able to continually meet and exceed the requirements of a rapidly growing business over the life of the contract.